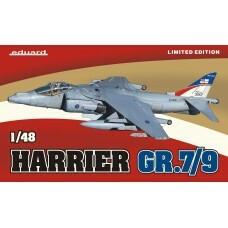 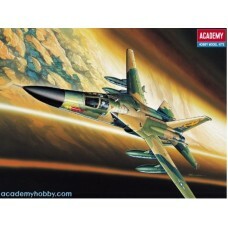 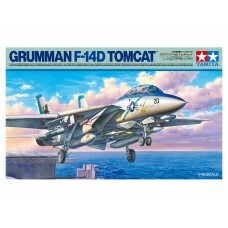 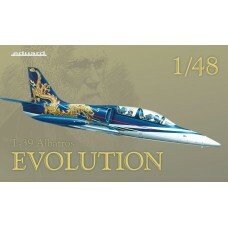 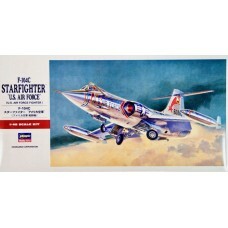 Limited Edition kit of jet aircraft L-39 Albatros in 1/48 scale.Decals for two colourful - Russian a..
FactsBrand:	HasegawaTitle:	U.S. Air Force Fighter F-104C Starfighter U.S. Air ForceScale:	1:48Releas..
FactsBrand:	AcademyTitle:	F-111 A AardvarkScale:	1:48Type:	Full kitBox contentsIncludes: Plastic spr..
FactsBrand:	HasegawaTitle:	F-4EJ Kai Phantom II 'Air Superiority Camo'Scale:	1:48Released:	2015 | Re..
FactsBrand:	HasegawaTitle:	F/A-18E Super Hornet U.S. Navy Carrier Borne Fighter (Attacker)Scale:	1:4..
FactsBrand:	AcademyTitle:	FB-111 A AardvarkScale:	1:48Type:	Full kitBox contentsIncludes: Plastic sp..
FactsBrand:	TamiyaTitle:	Gloster Meteor F.1Scale:	1:48Released:	1997 | Initial release - new toolTyp..
FactsBrand:	TamiyaTitle:	Grumman F-14D Tomcat18Scale:	1:48Released:	2018 | Rebox (Updated/New parts)..
FactsBrand:	HasegawaTitle:	Royal Air Force Aittacker Harrier GR Mk.7 Royal Air Force "Royal Air Forc..
Harrier GR.7/9 in 48th scale in Limited edition. 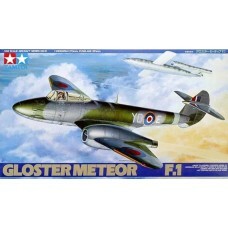 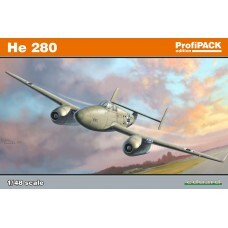 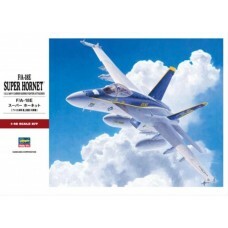 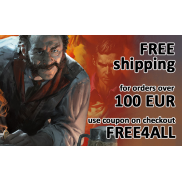 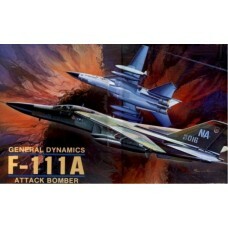 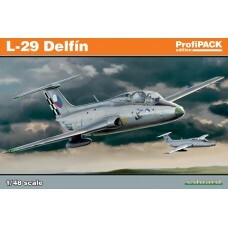 Contains Hasegawa plastic parts, decal sheet with 6..
ProfiPACK edition kit of German WWII jet aircraft He 280 in 1/48 scale.The kit offers He 280 powered..
ProfiPACK edition kit of Czechoslovak cold war light attack and training aircraft Aero L-29 Delfin i.. 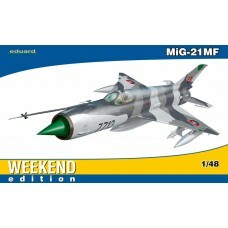 Scale plastic kit MiG-21MF in 1/48 scale.Soviet jet fighter, released in a Weekend EditionContent:pl..
Reedition of Eduard's successful scale kit of MiG-21MF in 48th scale. 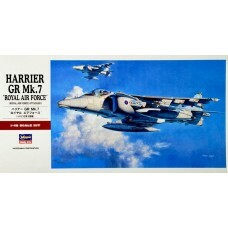 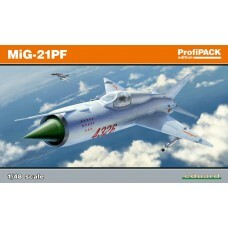 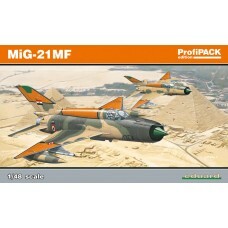 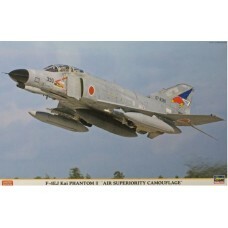 (first release March 2011)Cont..
First release of MiG-21PF scale kit in 48th scale in ProfiPACK edition.Content:plastic parts: Eduard..